Photography on the Run: Elevation profile of Bandit 50K. Generated by SportTracks from my GPS trace of the course using NED 1/3 arc second DEMs. The elevation gain (and loss) is about 5700' or so. 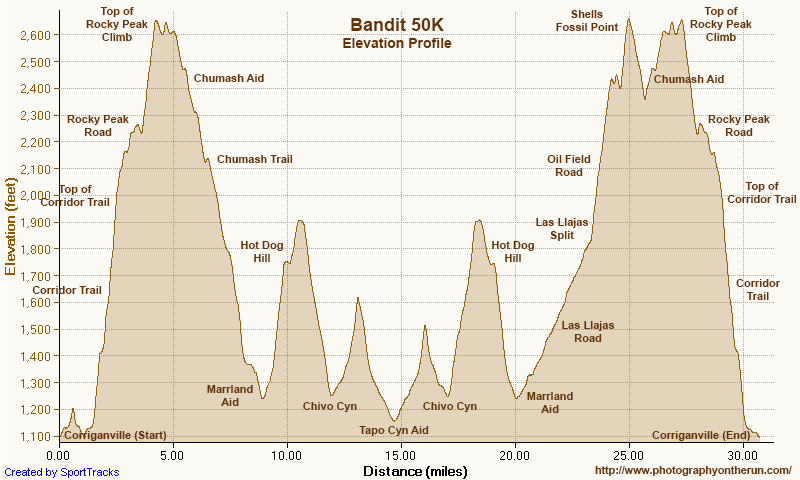 Elevation profile of Bandit 50K. Generated by SportTracks from my GPS trace of the course using NED 1/3 arc second DEMs. The elevation gain (and loss) is about 5700' or so.